Seems I completely forgot a post talking a bit about this "blog". This is where I plan to make my temporary base of operations for my cyberlox, dreads, and fake hair creations. You'll be able to find my (currently small) gallery, price listing (forthcoming), an ordering guide, color charts, et cetera. The F.A.Q. is now in the side bar. 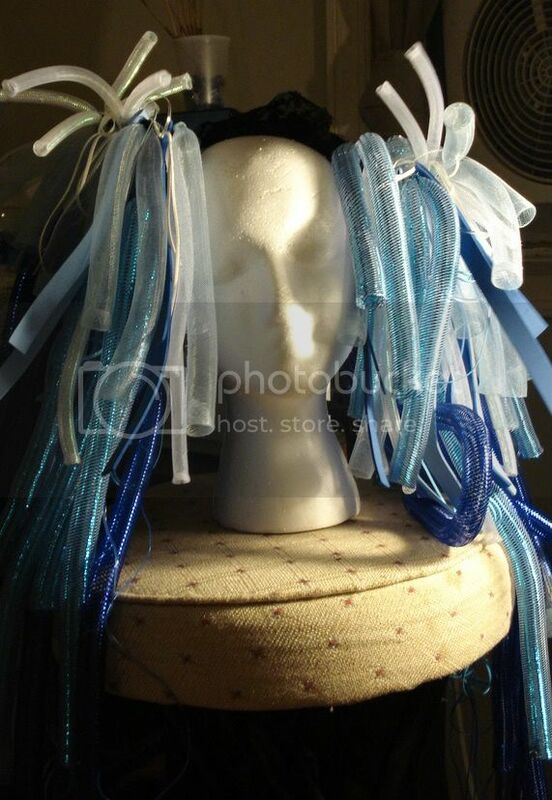 To order, simply email me at kamikaze.echoes@gmail.com with up to three main colors for synthetic dreads/wigs and up to five crin colors for cyberlox. More colors are negotiable but please let me know in your initial email. Please use the form below when emailing. Other: Anything you feel might be relevant, put here. The below charts are from CypherLOX. If you've ordered from me, please comment here with feedback. I will also post feedback from other sites (like ebay, etsy, et cetera) that I have received. If you have a order with me right now, you can check on the status of it here, as well as pay for your order. What is Rabbit Hole Locks? ...And why that name? Well, I love Alice's Adventures in Wonderland and Through The Looking Glass. Particularly, I like different takes on the story, and dark ones. Even to the point where I created my own. From it grew my nom de plume of sorts, Mad Pierrot, and the names I have given every venture I've taken. This one took a name closer to the original source rather than my own variation, namely the rabbit hole Alice falls into. There's probably more to it than that, but I either don't remember, it wasn't important, or both. 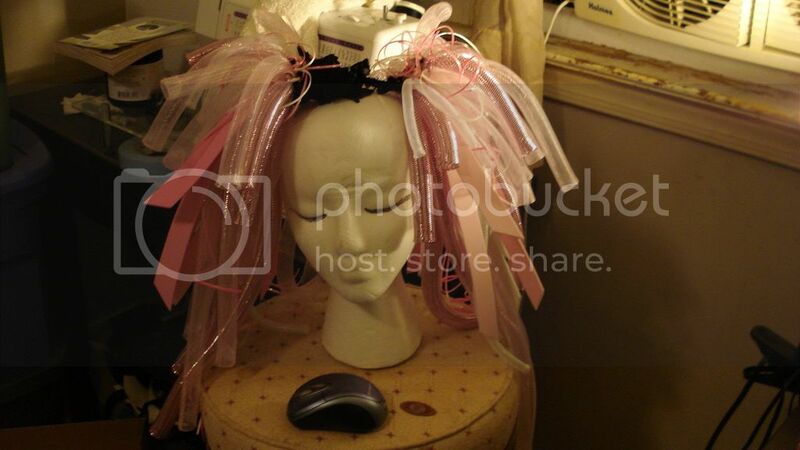 RHLocks is the name under which I sell cyberlox, synthetic dreads, and general fake hair creations. 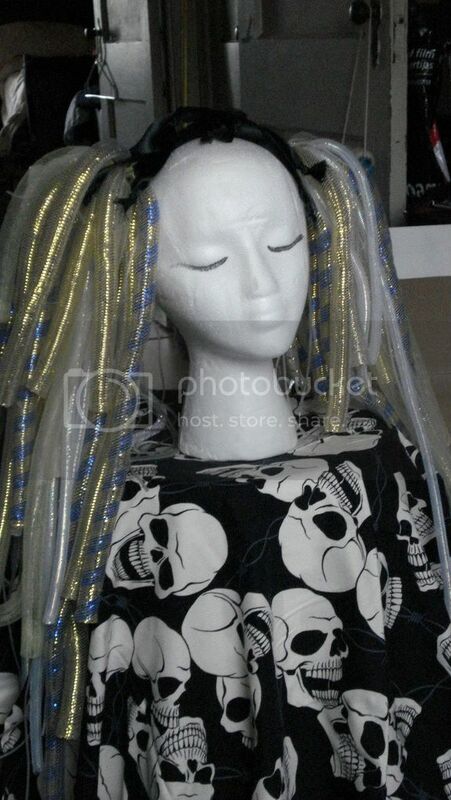 What are cyberlox, synthetic dreads and the rest? Now that's a bit harder to explain. I'll leave that to someone better suited than I. Try googling around for a good answer. Still, if you're here, I think you know what you're looking at. Do you make things for BJDs too? Why yes, I do! I'm in the process of making a thread on Den of Angels for just that purpose. I'll update as soon as it's ready. In the meantime, you can PM me on the forums. I'm sometimesusually. Where are you located and will you install my dreads? I'm in the Philadelphia, PA area and sorry but no. I don't have the time to sit messing about with someone's hair for long, straight periods of time when I probably should be doing something else, like homework. 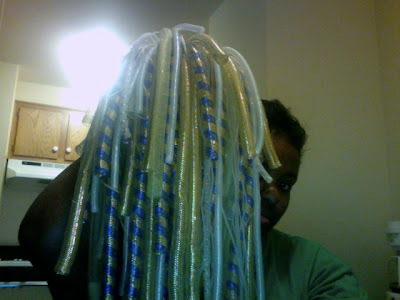 Making dreads, however, doesn't have the same problem since I can make a few during a break. Also, I fear for your heads. I'm not the gentlest of people. I usually order crin, tubing, and some unnatural hair colors from CypherLOX and Doctored Locks, since you can't exactly find it on a trip in town. Rexlace, foam, stretch lace, ribbon, synthetic hair, wigs, and most other things I use I find in a variety of places: arts and craft stores, fabric stores, beauty supply stores, and wherever else my travels take me and I find something that looks kind of cool. So how do you make these things?! A couple dozen hours (in some cases), some patience, some ingenuity, music, and the internet. Especially the internet. If you have any other questions, feel free to ask me in an email at kamikaze.echoes@gmail.com.